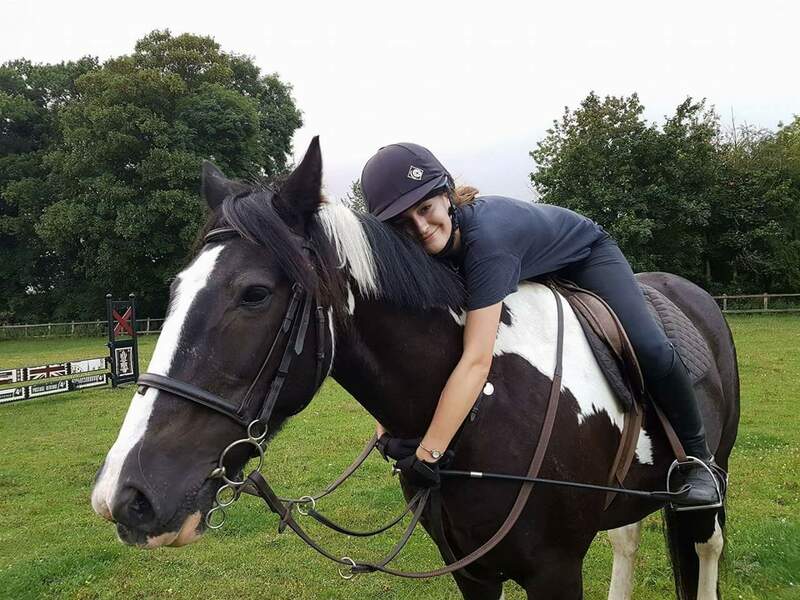 Moving to Ladysmith Equestrian was an excellent decision, the yard is incredibly friendly, professional and accommodating to the needs of both horse and rider. The facilities are excellent, good quality all year round turnout, floodlit arenas with good surfaces, new show jumps, flexibility to school and jump on grass arena in the summer and great off road hacking for miles. Moving to this lovely yard was a great choice for both me and my horse. Having done lots of competing for many years we are both really happy taking life easier and enjoying lots of lovely hacking together. Ollie is very chilled and relaxed, as are all the horses and being a veteran he is really benefiting from lots of daily turnout even in the winter months. Rose and Jon are great with all the horses and handle them in a lovely quiet way, which as an owner, is nice to witness and very reassuring. The yard is quite and peaceful, the atmosphere is perfect for spending quality time with my four legged friend. 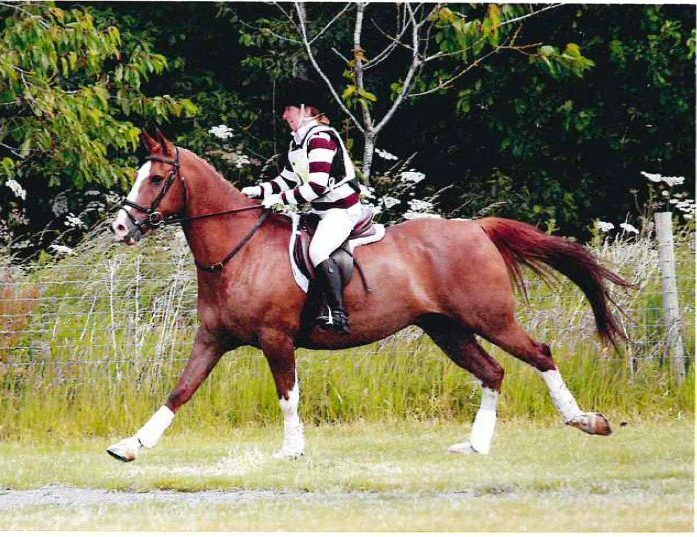 I am so pleased that Ollie is now in residence at Ladysmith Equestrian – I’m sure he is too!! When I started riding a few years ago I was a nervous wreck who would curl into a ball when going any faster than a trot. Rose and Jon have patiently taught me how to be a rider and also how much enjoyment can be had. 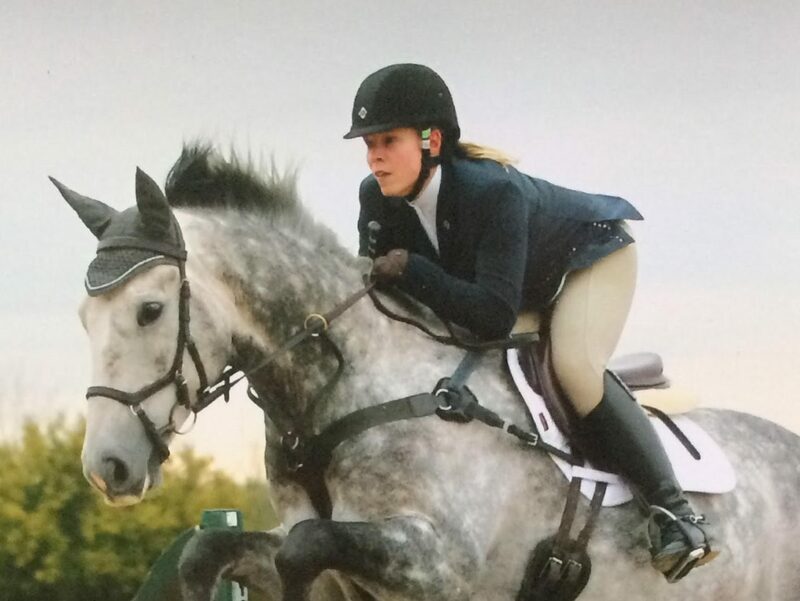 My confidence has grown and I love every minute now – show jumping included! They strike the right balance between not over facing you but challenging you just enough so that you progress. The setting at Ladysmith is absolutely stunning and the yard has easy access to fabulous off road hacking. Ladysmith can support you whatever your horsey ambitions – there is something for everyone. I am now embarking on the biggest adventure of all and I have recently bought my own horse, Wilkie. I look forward to the challenge with the benefit of having professionals on hand to help me and care for my horse. I’ve been riding at Ladysmith Equestrian for ten years, from the first lesson Rose was encouraging and engaging. The lessons are varied and I would always feel that I would get the best out of each session. Two years later we went to see my first horse for a trial ride. Jasper has now been stabled at Ladysmith for eight happy years. Ladysmith has a relaxed but professional feel to it – the stables are always spotless, everything is organised. The school has great floodlights, so I can ride in the early mornings or evenings in winter. This flexibility gives me options, and I don’t have to worry about conflicts between work time and horse time. Having proper all day turn out for Jasper keeps him happy and healthy, so if I don’t get the time to ride I know he is not in his stable 24/7. Ladysmith Equestrian is a big part of my life. It is a welcoming yard – many of the liveries are now good friends. I could not have asked for a better horse, better instruction or better facilities.